We road tripped down to my parents in North Carolina over Thanksgiving and just watched the Jungle Book for the first time. My boys loved it. Next up is Pete’s Dragon, which was made by the same Disney studio as the Jungle Book. It’s a new twist on the modern Pete’s the Magic Dragon story and we’re very much looking forward to watching it! After weeks of travel, we’re home for awhile and I look forward to curling up on the couch with my kids watching a few new movies. We like having the DVD + Digital Copy movies now – It’s nice to have on DVD and also having it digitally on our iPads allows my kiddos to be able to watch whatever movie they want at different times. 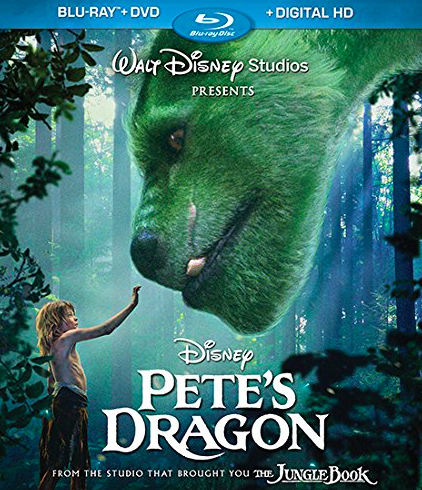 Get Pete’s Dragon (out this past Tuesday Nov 29th) on Amazon for $22.99 to get both the DVD and Digital Copy.